Borussia Dortmund boss Jurgen Klopp has confirmed that Marco Reus will miss Tuesday's DFB Pokal clash with Saarbrucken, while Robert Lewandowski, Sven Bender, Nuri Sahin and Jakub Blaszczykowski are all doubtful. The German giants are aready missing the likes of Mats Hummels, Neven Subotic, Ilkay Gundogan and Marcel Schmelzer and have suffered more blows during the 3-1 win over Mainz. "Certainly not Marco Reus," he told reporters when asked who was fit to place in the 3. Liga side. "There are also a couple of guys we're thinking about. There are still question marks over the heads of Sven Bender, Nuri Sahin and Robert Lewandowski." When asked about Blaszczykowski's fitness, he replied: "Oh yeah, over his head too, I'd forgotten." However, Klopp confirmed that Erik Durm, who is filling in at left-back in Schmelzer's absence, should be fit to feature. "Erik has a bit of a back and shoulder problem, but it doesn't sound like we'll have to worry about it," he continued. 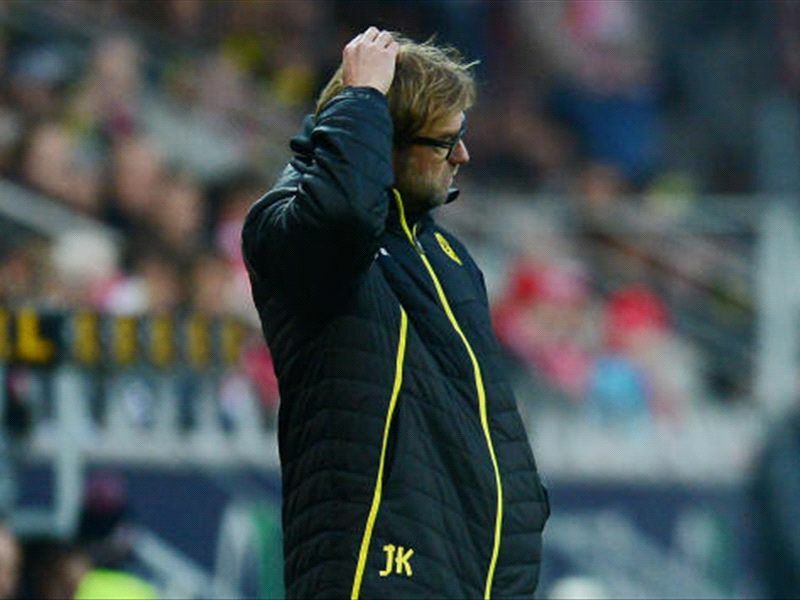 Klopp had previously joked that BVB's injury woes made the contest with third-tier Saarbrucken more exciting. He said: "We are polite enough to have so many injuries that the game will become a contest."